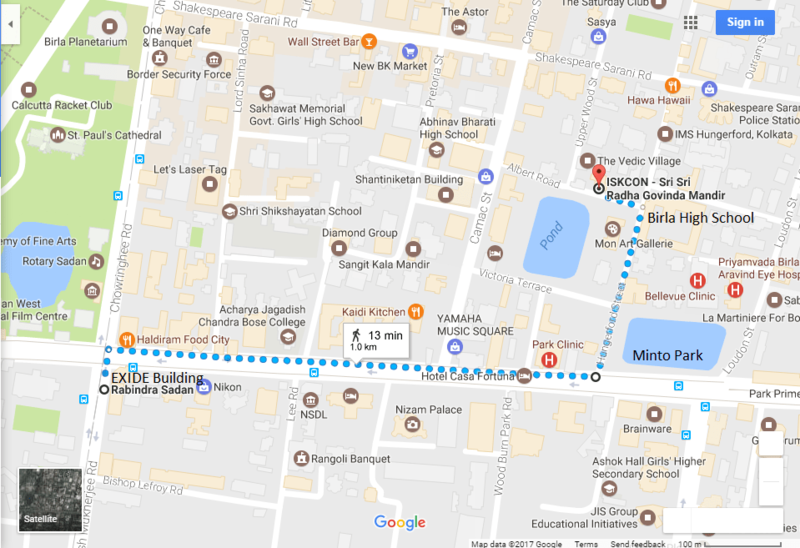 Take a bus to Minto Park and ISKCON Temple is 2 min walk from here.Ask where is Birla High School. ISKCON temple is located in road opposite to Birla High School. Take a metro to Rabindra Sadan Metro Station. Come out from EXIDE gate and ask the way to Minto Park. After reaching minto park ask where is Birla High School. ISKCON temple is located in road opposite to Birla High School. Take a bus to Beck Bagan and ISKCON House is 5 min walk from there. Ask for Gurusadai Road. Take a metro to Rabindra Sadan Metro Station. Come out from EXIDE gate and ask the way to Beck Bagan. Then ask for Guru Sadai Road.